2019 NBSL Schedule - All dual meets start promptly at 6 PM. Visit www.NBSLswim.com for league info including schedules and archived meet results. 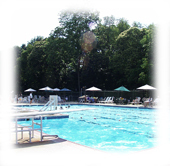 Swim Lessons (Beginners thru Stroke Mechanics)- Monday through Thursday, (8) half hour sessions 11:00 - 11:30am or 11:30 - noon. The cost is $125 per person, payable to the instructor at the 1st lesson. The following life guards will be offering lessons. Please contact them for availability. Please contact our coaches Olivia Das and Doug Gardner at 484-843-5257 or email Olivia384217@gmail.com for swim team details. Note : There is a Stroke & Turn meeting TBD as well as a scorer refresher at Elks Lodge (1310 Carruthers Ln Wilm DE 19803). It is highly suggested that anyone planning on volunteering in either of these areas attends this meeting to be prepared for the meets this summer. Swim Team End of Season Party - 2019 date TBD 6-10 PM. Rain date . Hello Parents! As you know by now we will be needing lots of volunteers to help out at the meets this summer. We are asking at least one parent from each family to volunteer during each meet. Please contact Dorothy Olsen (deolsen@verizon.net) or Aileen Welsh (aileen.welsh@comcast.net) for further information on how you can assist.